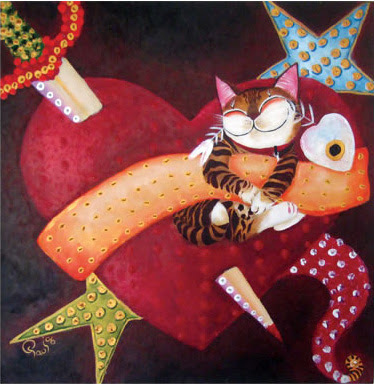 catmaSutra cat art by paul koh: Catzophrenia - Caught between the tales! Catzophrenia - Caught between the tales! Are you sure it's me? Catmasutra cats - 130 in one room? Lives no. 7 to 9 of a Catmasutra cat! Lives no. 3 to 6 of a Catmasutra cat! Lives no. 1 to 3 of a Catmasutra cat! Catmasutra - Eyes Wide Open! Childhood story and the catmasutra cats!